Your favorite teenage super-hero group just got even more loveable! This Teen Titans Go! 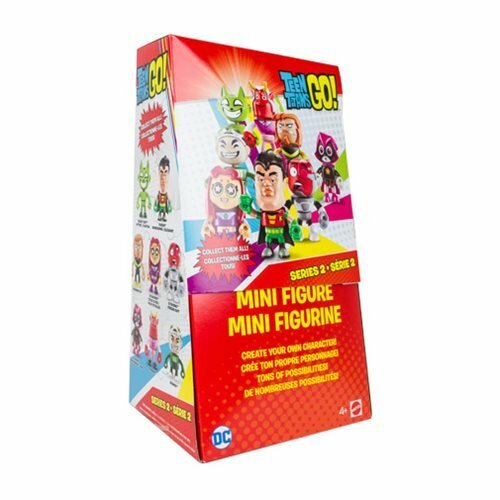 Series 2 Mini-Figure Case features your favorite characters from the hit Cartoon Network series Teen Titans Go! These mini-figures are the perfect size for playing on the go or showing off in a collection. They also feature exchangeable body parts, letting you create your own hero. This case includes 36 mini-figures. Get Robin, Raven, Starfire, Cyborg and more! Breakdown not available at this time. Ages 4 and up.